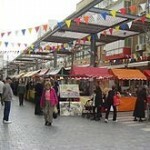 Netanya is a city in the Northern Central District of Israel, and is the capital of the surrounding Sharon plain. It is located on the West coast, on the Mediterranean Sea shoreline, 30 km (18.64 mi) north of Tel Aviv, and 56 km (34.80 mi) south of Haifa. 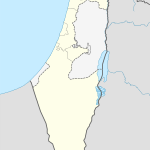 The Poleg Stream and Wingate Institute are located in the southern border of Netanya, which has been labeled the City of Sport. It hosts a newly built stadium, home of Maccabi Netanya, one of the most successful soccer teams in Israel. 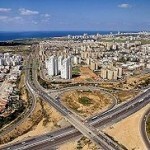 Netanya’s 14 kilometers (8.7 mi) of beaches have made the city a very popular tourist resort. It has a population of about 200,000 citizens and hosts several academic institutions, one of which is the Academic College at Wingate.